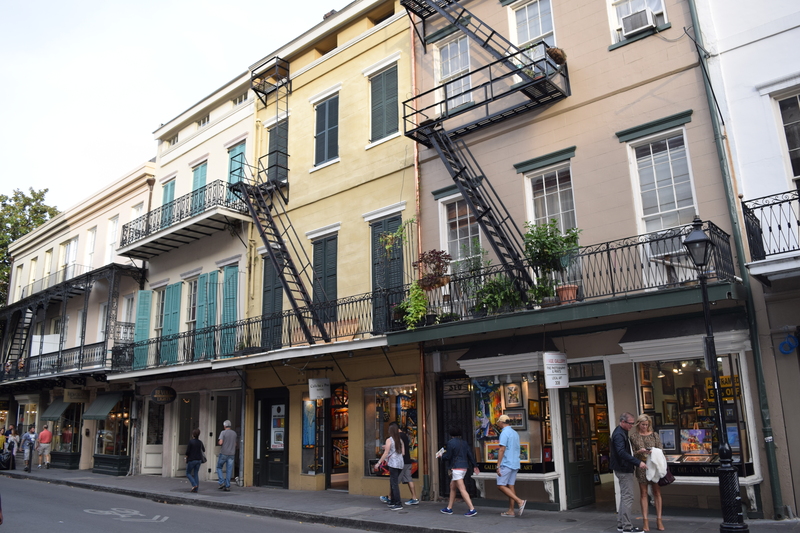 When we say we had a jam-packed three days in New Orleans – well, technically three-and-a-half days (we had an afternoon return flight), we really mean it. 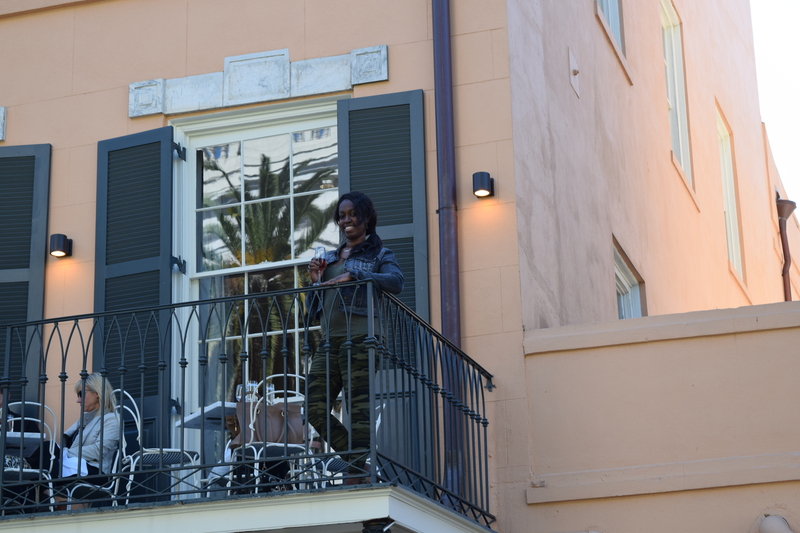 Between the amazing itinerary the New Orleans Convention and Visitors Bureau put together for us (thanks again) and our own independent excursions in The Big Easy, 2 Girls Who Travel thoroughly enjoyed the NOLA experience. Seeing as how we did so much – the only time we spent in the hotel room was to sleep and shower/change clothes before the next outing – the easiest way to document the excitement is in a day-by-day breakdown. Here you are! 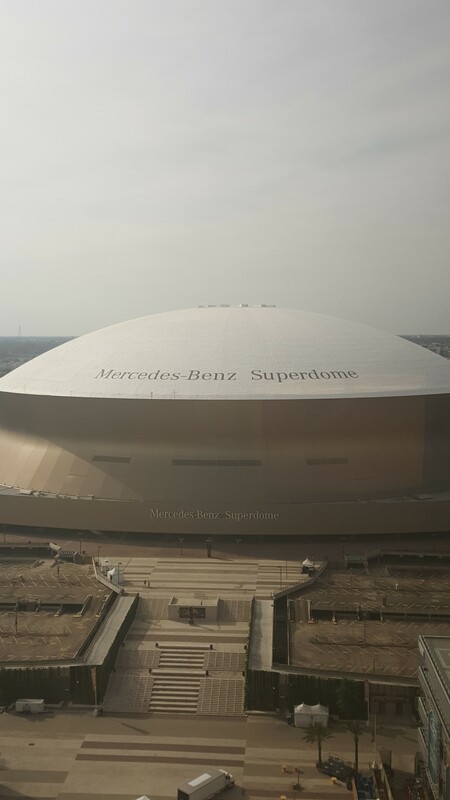 After a very short flight from Houston to the New Orleans airport, we picked up our rental car that we totally didn’t need (seriously, take an uber) dropped our bags off at our hotel, the Hyatt Regency New Orleans, and headed straight to Mother’s Restaurant for lunch. We had worked up a pretty good appetite, so when we were greeted with a long line to enter the restaurant, we thought we’d have to scarf down our airport peanuts to curb our hunger. 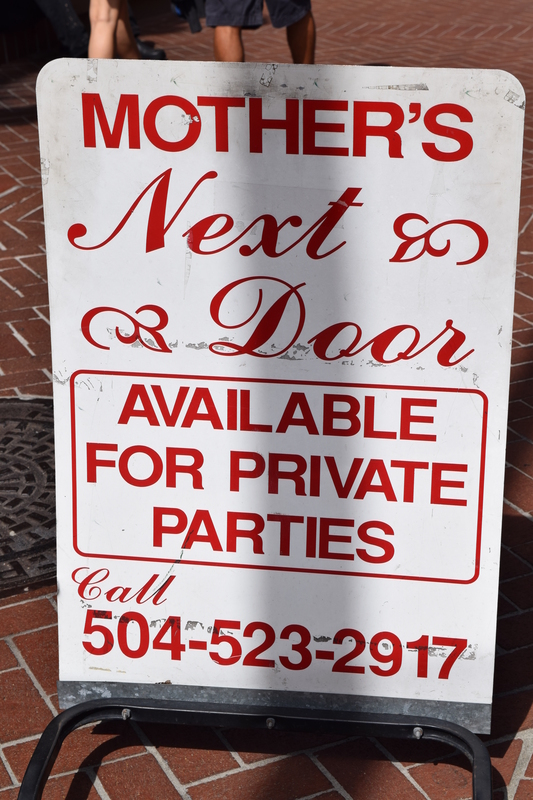 But though sizeable, the line moved pretty quickly and we were seated at the bar at Mother’s Next Door, an area connected to the flagship restaurant that can be booked for private parties and banquets. 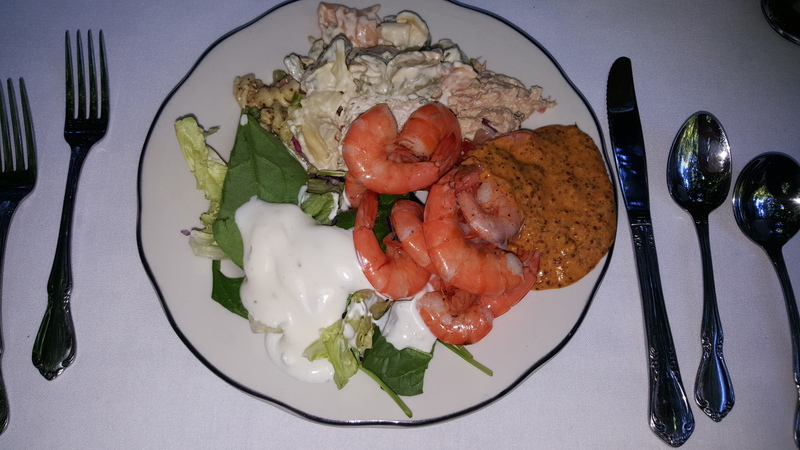 We were presented with an appetizer plate and entrée plate of the restaurant’s best offerings. Standouts were the crawfish etouffee and jambalaya. 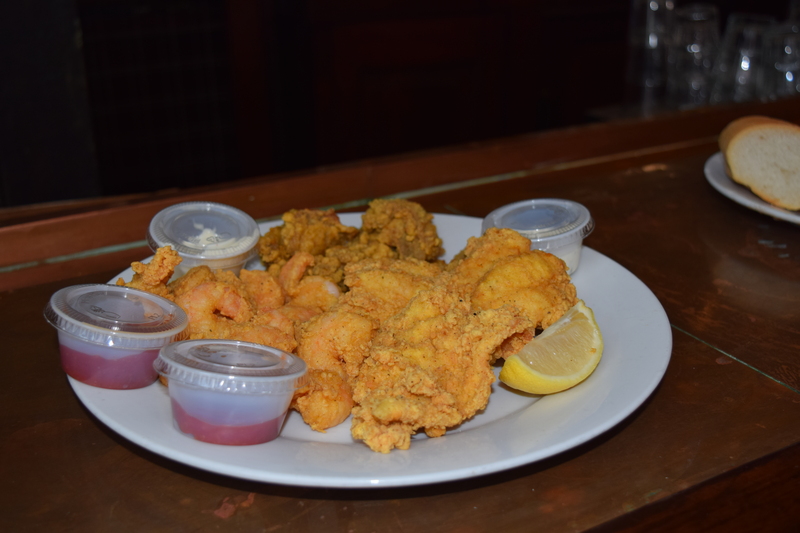 The fried shrimp were noteworthy as well. 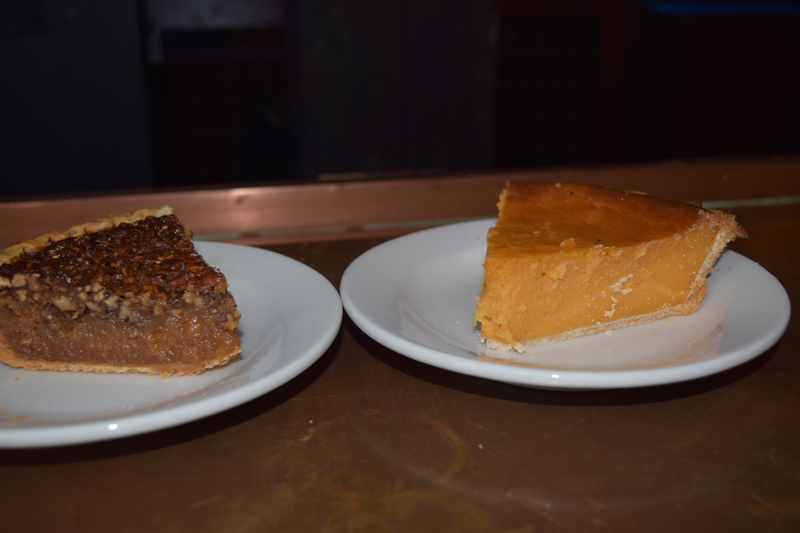 We took the pie route for dessert – pecan for Val and sweet potato for Kim. Generous portions, but the flavor left something to be desired. Jambalaya, crawfish etouffee, green beans, red beans and rice and potato salad. Our waiter and bartender Buford was awesome! He was very attentive, kept the drinks flowing and chatted with us for a while. 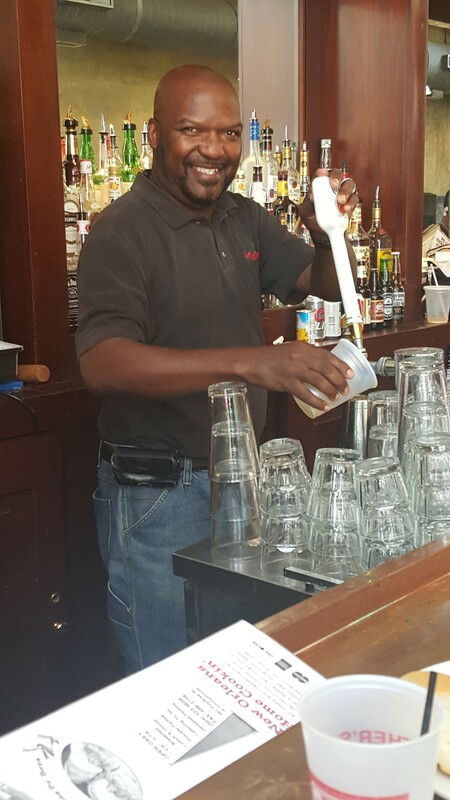 He single-handedly managed an entire bar during lunch rush – and did a superb job! After lunch, we checked in to our hotel to unwind. The Hyatt Regency was huge! Seriously, the kind of hotel you book with a group so that you can wander off by yourself when people start getting on your nerves. 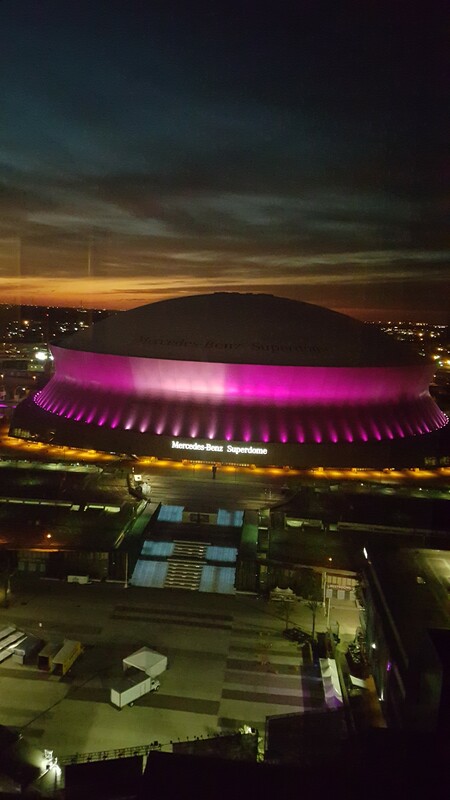 It was clean, the staff was friendly and helpful and we had a fantastic view of the Superdome right outside our window. 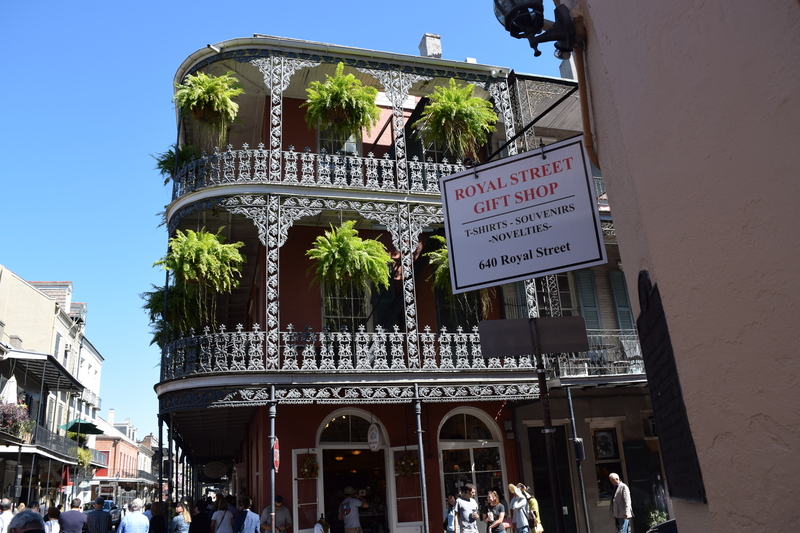 The next stop on our itinerary was a tour of the French Quarter with Historic New Orleans Tours. We made it to the meeting spot for the tour, met our guide and realized that including us, the tour only had four people. But that’s totally okay, as our guide said she prefers “an intimate group” so she doesn’t have to yell. For whatever reason, we didn’t really realize that this would be a walking tour. Definitely hoped we’d be on some air-conditioned tour bus. Nope! We briskly traversed street after street, our guide purposely avoiding the busier parts of Bourbon where there were quite a few “festive” individuals celebrating an LSU win over the University of Florida. 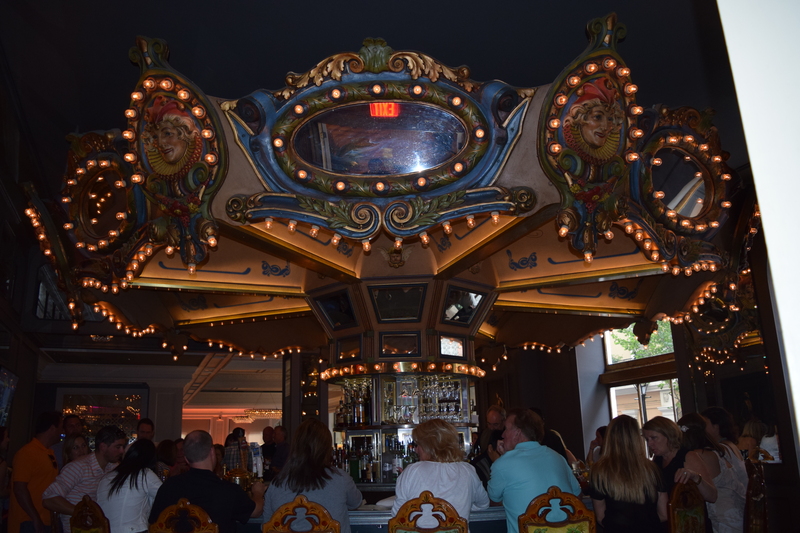 The tour guide was knowledgeable and energetic and we were able to get some really good shots of famous places and landmarks such as the Carousel Bar and Lounge located in Hotel Monteleone, New Orleans’ oldest restaurant Antoine’s and the beautiful St. Louis Cathedral. 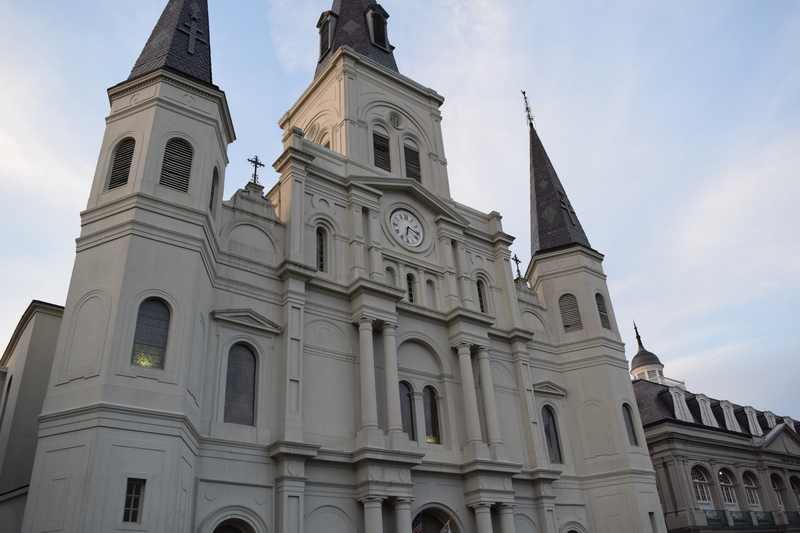 Aside from being a walking tour, we also failed to realize the tour was two hours long, so we had to peace out a little early after the stop at St. Louis Cathedral in order to make it back to the room to change and to keep our dinner reservations. Dinner that night was at famed restaurant Bourbon House and it was so good. How good, you ask? 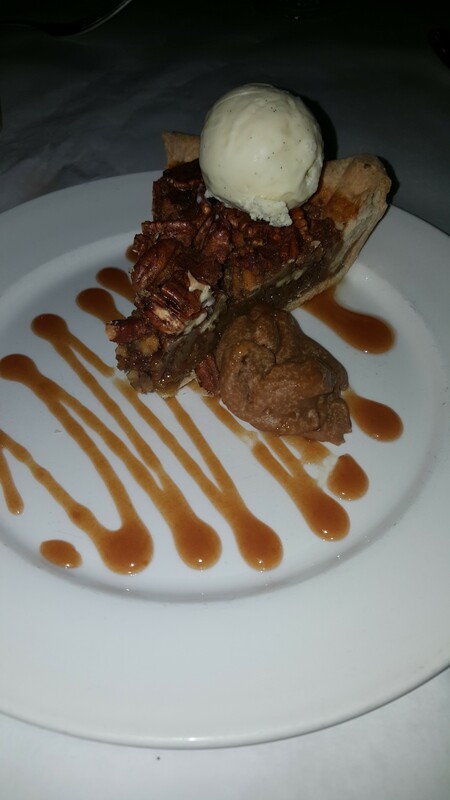 Click here to read our post about just how good Bourbon House was. 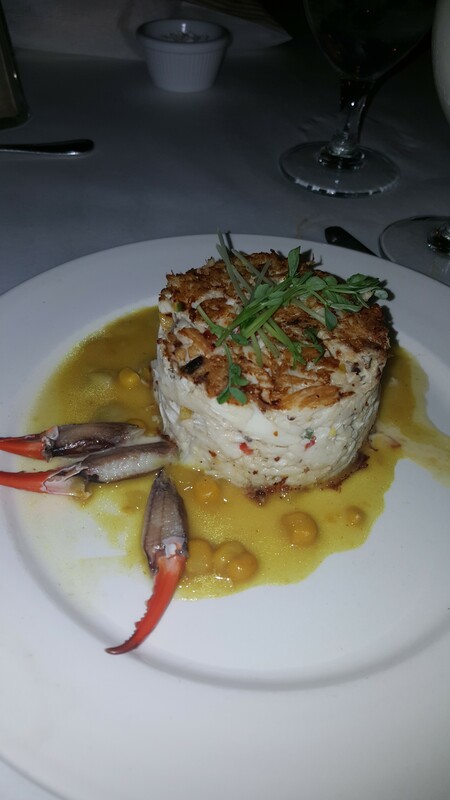 The only suggestion we would make would be to order crab dishes with caution. The flavor was outstanding, but there were literally shells in every other bite. This may have just been an isolated night, but still something to note. 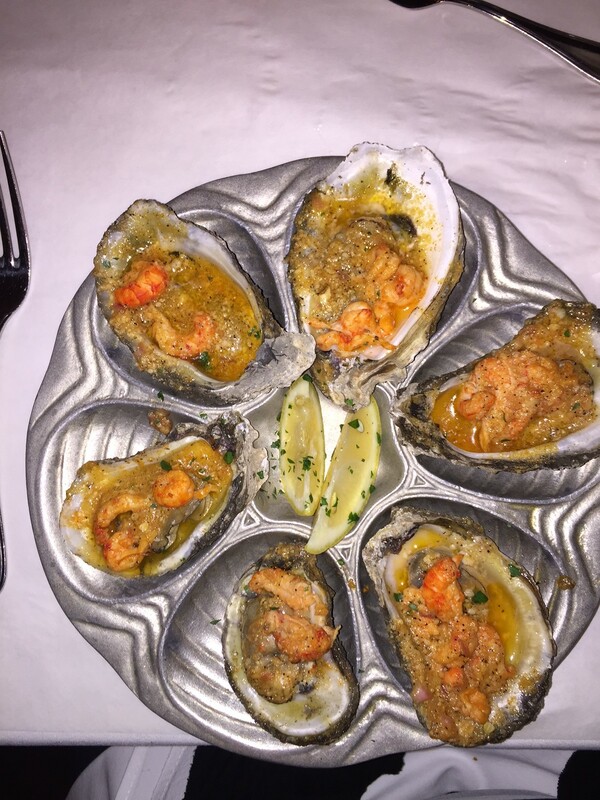 Some of the best oysters you’ll ever taste! A little meandering down Bourbon Street with some alcoholic beverages and we headed back to the hotel to call it a night. *Side Note: We were uber virgins before this trip, but are now totally sold on uber. 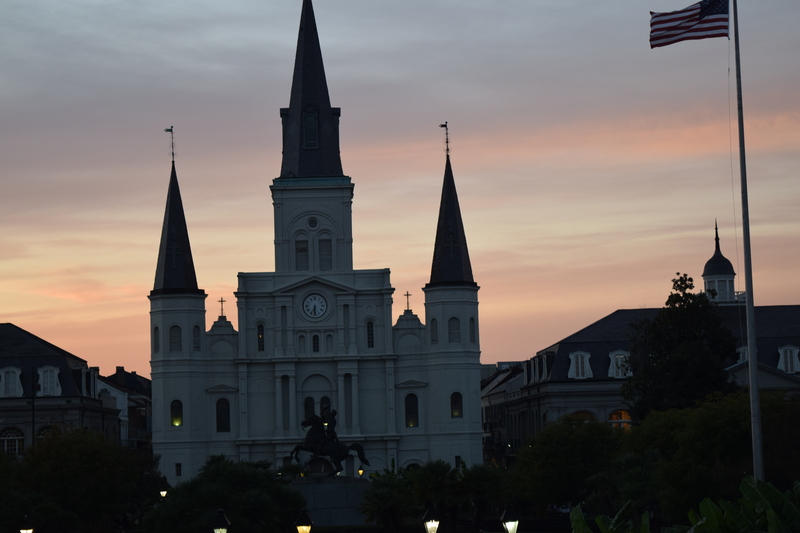 Throughout our trip, uber drivers kept us on time and even shared a few tips on the city and how best to get around the busy French Quarter. Shout out to Uber New Orleans! 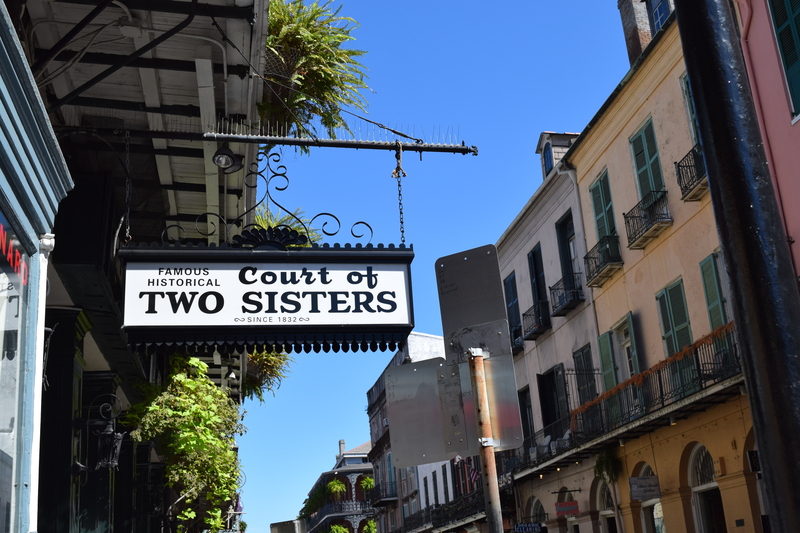 We started the day off with a Sunday jazz brunch at Court of Two Sisters. The weather was perfect so we opted to sit in the massive courtyard, known for being the largest courtyard in the historical French Quarter. Brunch was served buffet style with hot and cold dishes available. 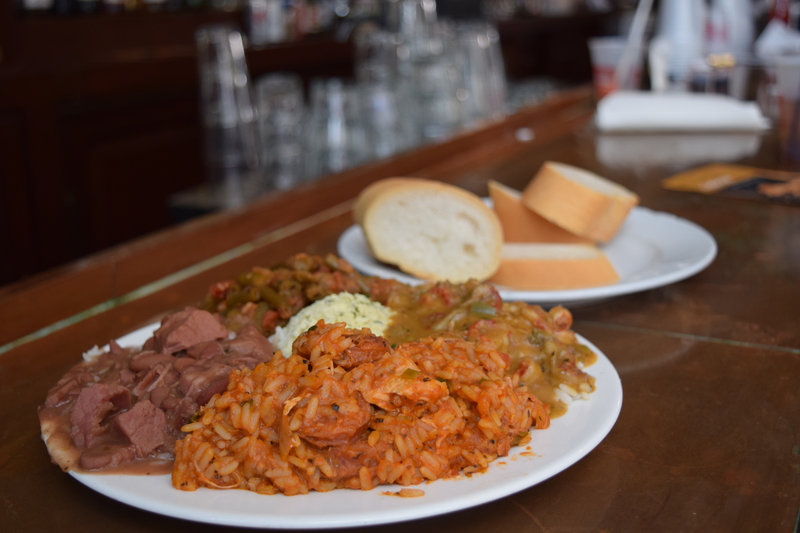 There was a nice variety and we tried some of everything, including the restaurant’s famous dishes – turtle soup, candied sweet potatoes and Cajun pasta. 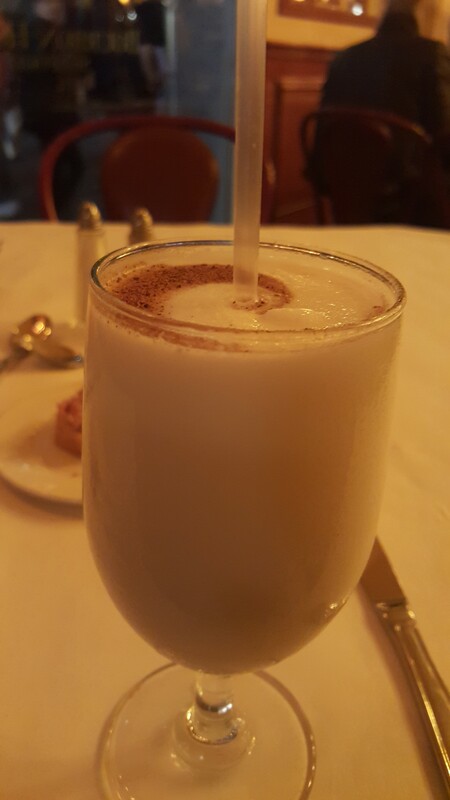 Unfortunately, we were too full to sample the bananas foster, another of their famed dishes, but from the sounds of it, it’s certainly worth a taste! 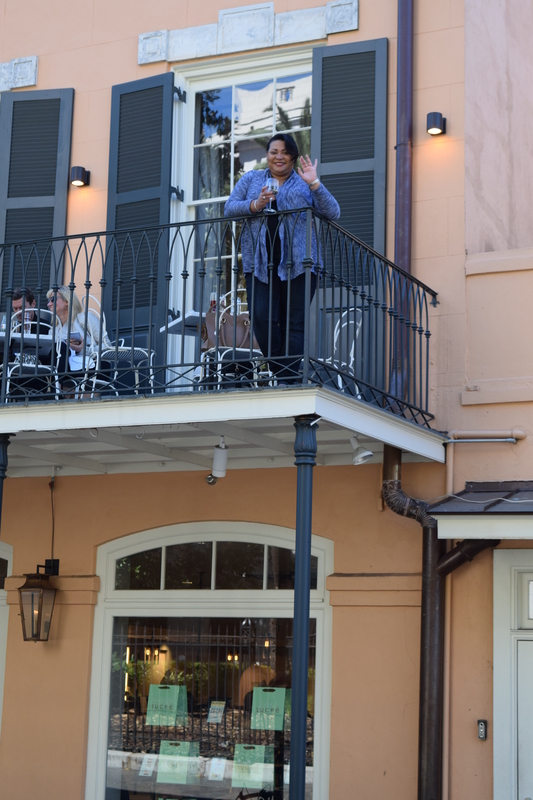 We had a little leisure time after brunch, so we walked around the quarter and visited some local shops. Candy, art, novelties – you name it! There’s a shop for everyone’s taste. You know how you’ve already walked for hours and you’re thinking, ‘Meh, I could totally go eat and drink now.” No? Just us? That’s cool. After admiring the quarter’s architecture of Creole townhouses (shops located on ground level with living quarters above), we wanted to take a picture from the second floor, so when we stumbled upon Salon by Sucre, a sweets shop downstairs with a boutique lounge upstairs, we jumped at the opportunity. 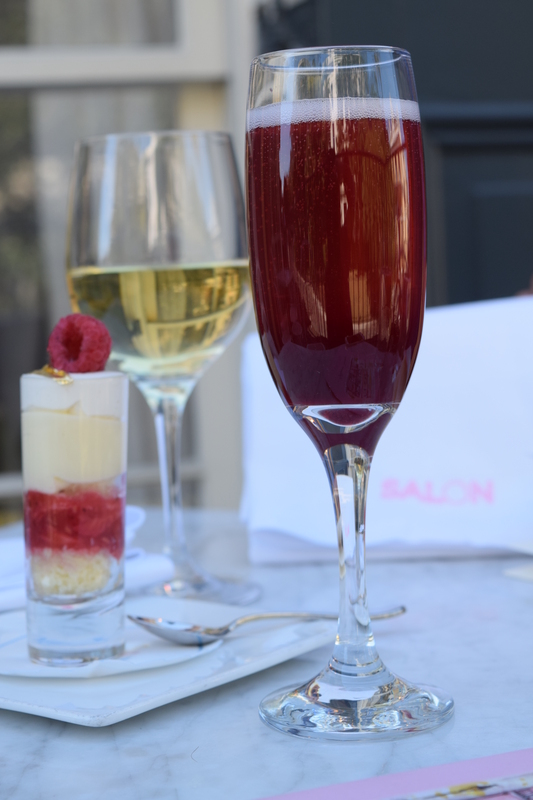 We enjoyed wine and mimosas and dessert while taking in the cool afternoon breeze. Seriously, like could the weather have been any better for our trip?! We were really excited about our next stop on the itinerary, the 10th Annual Crescent City Blues & BBQ Festival, located just four blocks from our hotel. 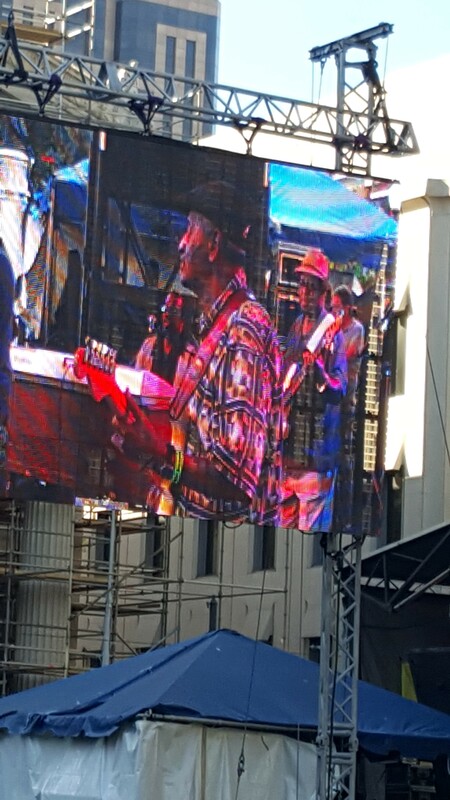 The festival is produced by the New Orleans Jazz & Heritage Festival and Foundation, the same organization behind the famed New Orleans Jazz and Heritage Festival, and has about 15,000 attendees. We’re country girls, so we enjoyed the blues performances and of course, we had to try the barbecue! We couldn’t resist the dry ribs and the pulled pork mac and cheese; both were delicious. And we’re tough critics of barbecue! 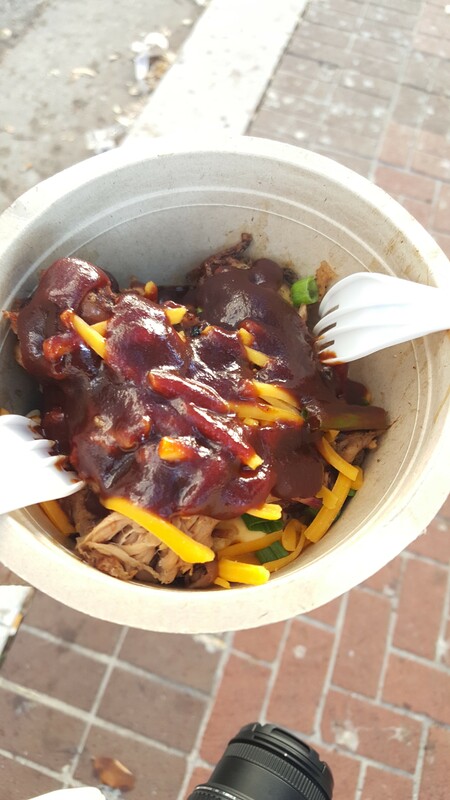 Pulled pork over mac and cheese…perfection! 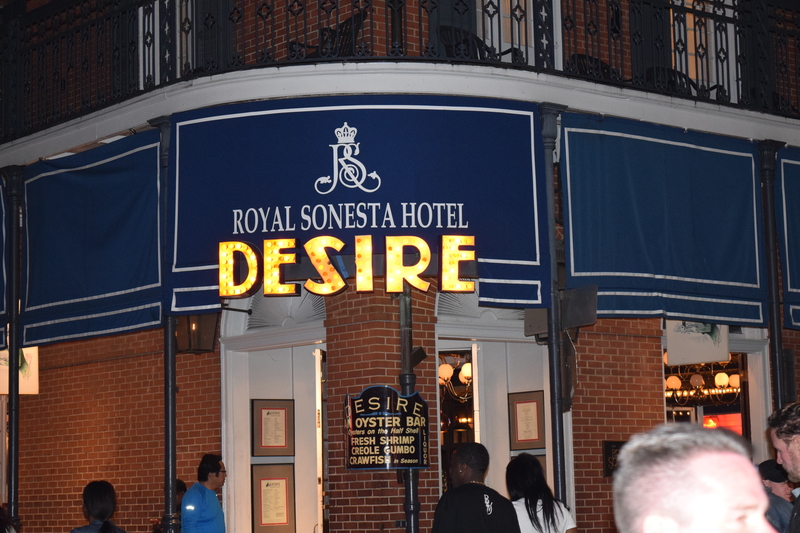 After the festival, we had to get our palates ready for dinner at Desire Oyster Bar, located in the Royal Sonesta Hotel. 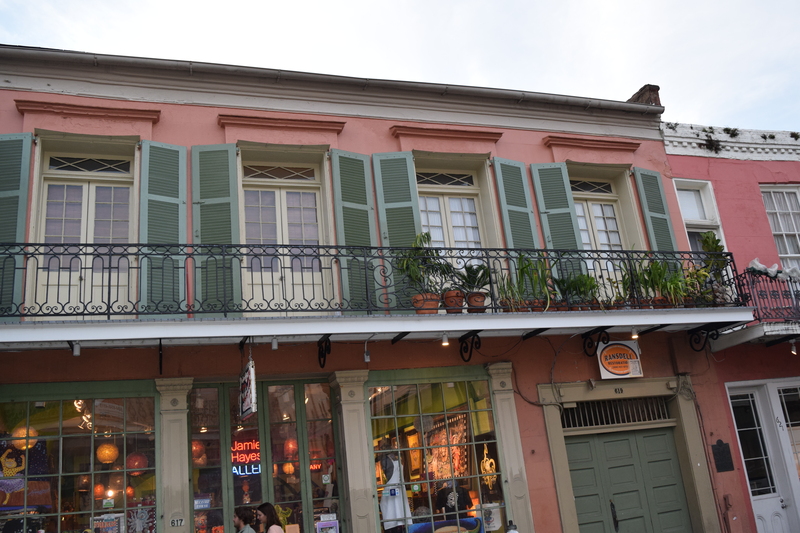 We were seated near a window that opened directly to Bourbon Street. 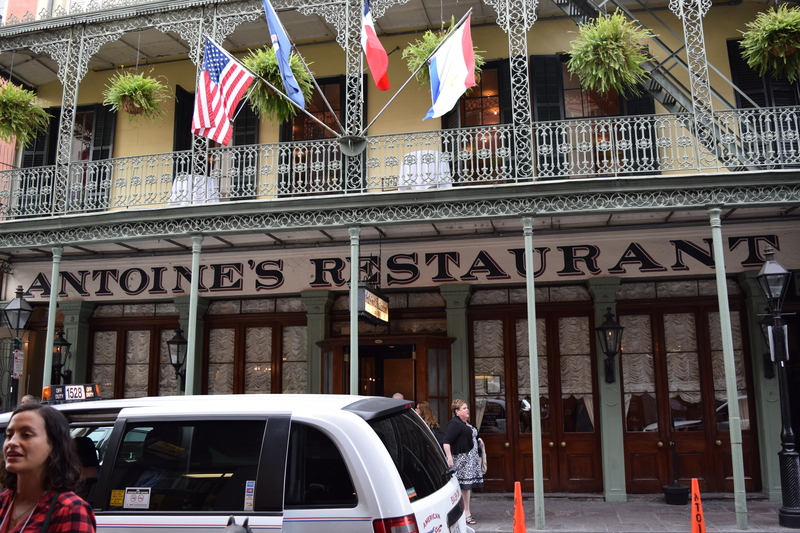 It made for some interesting visitors, but it was a cool concept and really gave us an authentic French Quarter feel during dinner. True to the namesake, the oysters here were tasty and the New Orleans BBQ shrimp were good as well. Not to be confused with traditional BBQ, NOLA BBQ shrimp are sautéed in a sauce of butter, Worcestershire sauce and other deliciousness. First time having them and they were tangy and flavorful. Our waitress told us that though many restaurants claim to have the best hurricanes, they were little more than red punch with liquor. Bold statement, so we had to try Desire’s hurricanes. And we must say, they were very good – and they were in fact, not red! 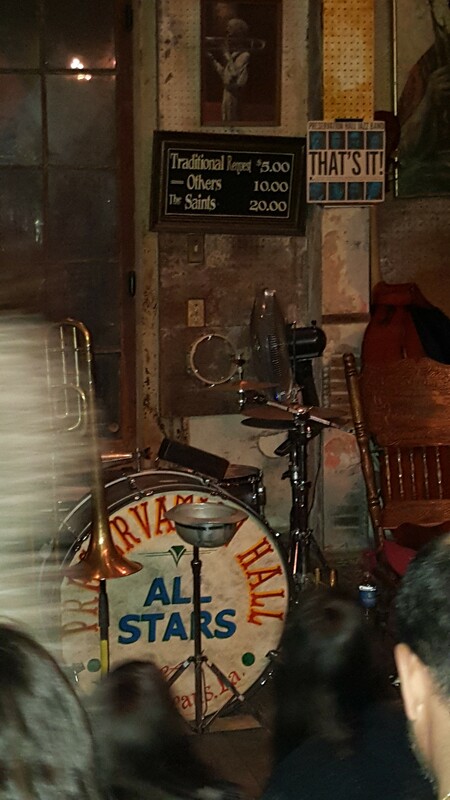 We had reserved seats for a live jazz performance at Preservation Hall, an intimate jazz venue in the heart of the French Quarter. We didn’t really know what to expect. The inside of the venue resembled how you’d imagine an old jazz or blues hall to look back in the day. Reserved seating consisted of three long benches in the middle of the room with everyone else sitting in the front, along the sides, or standing up in the back. As the band made their way in, we were surprised and pleased to see several younger men. They were led by Freddie Lonzo, who’s played at Preservation Hall since the mid-1980s. From the first note that was played, we were blown away. Each musician owned their instrument and played with so much passion, it was infectious. They even took us to church for minute with a glorious rendition of “This Little Light of Mine.” We wish we could provide you with a video of how good they sounded, but cell phone and camera use was prohibited. Strictly prohibited. They called out a girl who decided to have a phone conversation during the performance (deservedly so – that was rude). Warning: leave the cell phones off! When the hour-long performance was up, we didn’t want to leave. This explains the long line outside the door before the performance began. 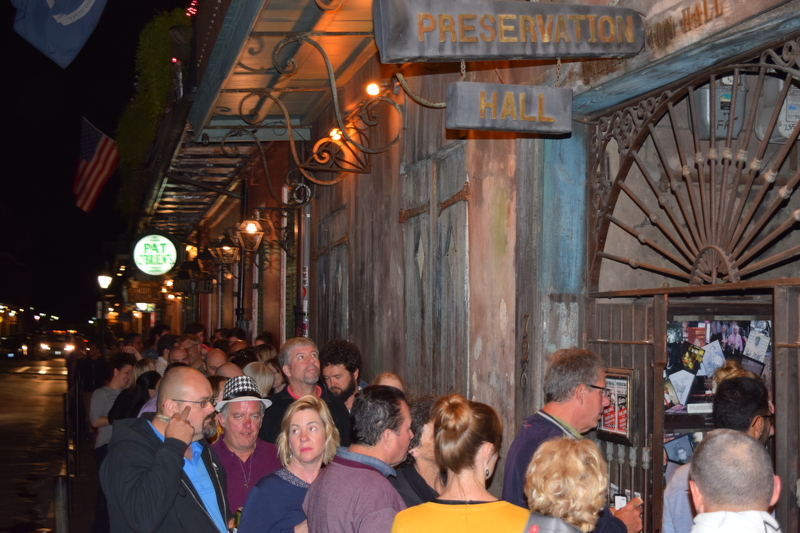 Preservation Hall is truly one of those tucked away gems. If you’re in New Orleans and appreciate great live music, we highly recommend you stop by. Eventually, we caught a ride back to the hotel (uber of course) and called it a night. We slept in about an hour later today. 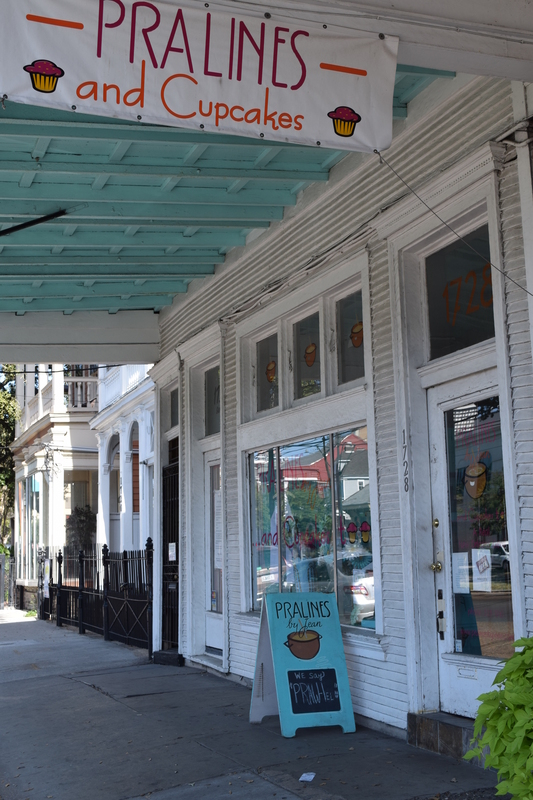 Our first stop wasn’t until 11am in which we had an interview set up with Justin Kennedy, chef and general manager of Parkway Bakery and Tavern, a restaurant best known for its po’boys. 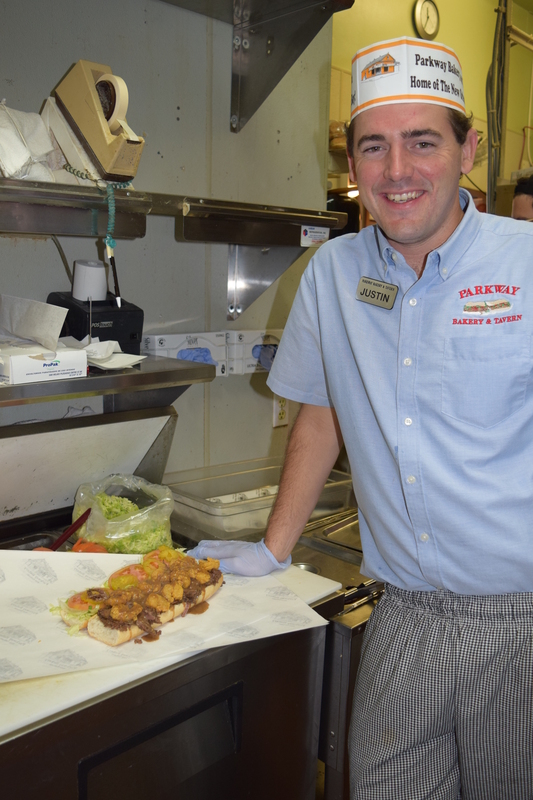 After our interview, Justin was kind enough to prepare us his favorite po’boy, the Parkway Surf and Turf, roast beef with shrimp covered in gravy. And well, it tastes as good as it sounds. We decided to take our lunch to go (yes, we were in the rental today) and explore Magazine Street, a popular street known for its shops, museums, art galleries and bars. 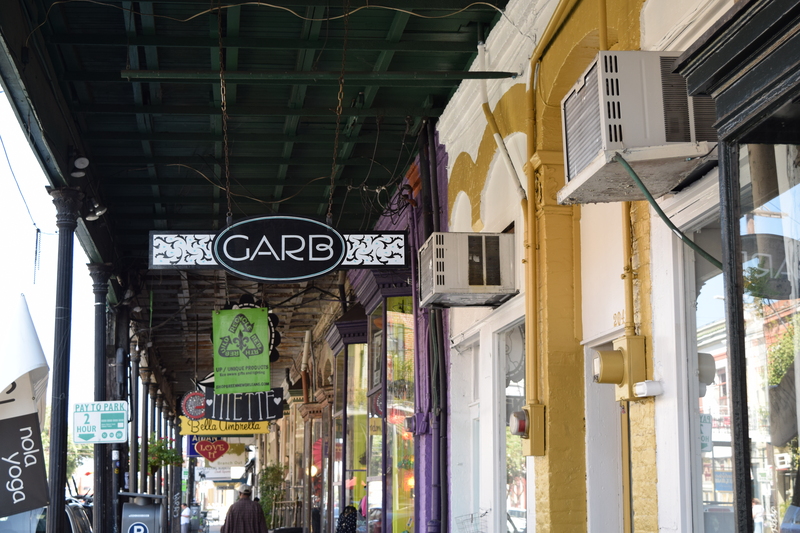 We enjoyed lunch outside of a small coffee shop and then stopped into the famous Garb Boutique, owned by New Orleans native Toya Wright. Though many know her of being Lil Wayne’s ex-wife and mother of their daughter Reginae, Toya is a successful businesswoman. We were excited to check out the shop. She wasn’t there (we didn’t really expect her to be, but just in case you were wondering), but her first cousin gave us great service and was even kind enough to steam one of the shirts we bought. 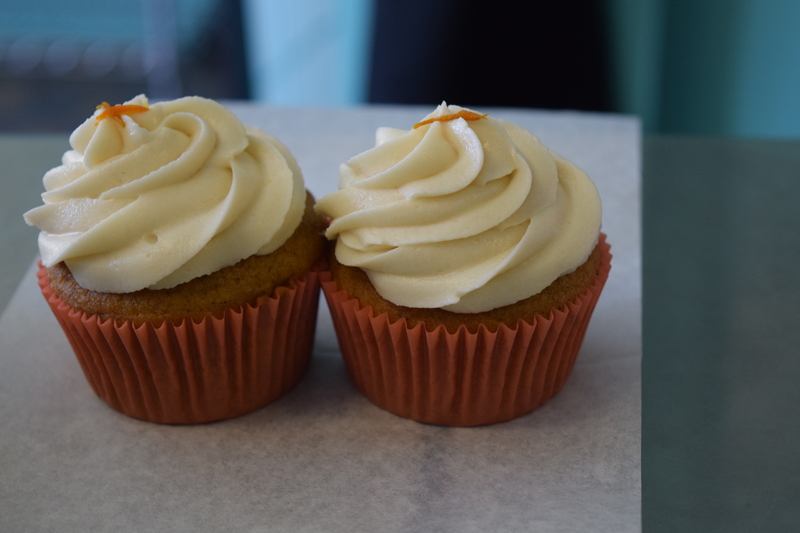 Pumpkin spice cupcakes? Yes, please. 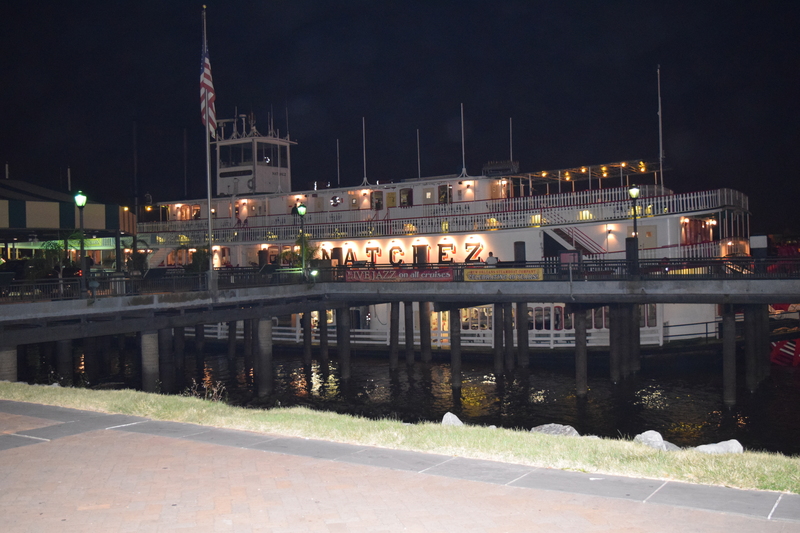 After a full day of exploring, we went back to the hotel (did we mention how friendly everybody at this hotel is) and got showered and changed for our dinner cruise onboard the Steamboat Natchez. Our awesome weather we had been having on this trip continued, although it got significantly cooler as we boarded the boat, which is understandable since we were on the water. As the boat set sail along the Mississippi River, the captain told us some history of the boat and river. Eventually, we were able to enter the dining room where, not gonna lie, we weren’t expecting that great of food. We were thinking more business luncheon food (e.g. dry chicken breast, steamed vegetables, blah, blah, blah), but we were pleasantly surprised to find that it was a) a buffet and b) really, really good food! 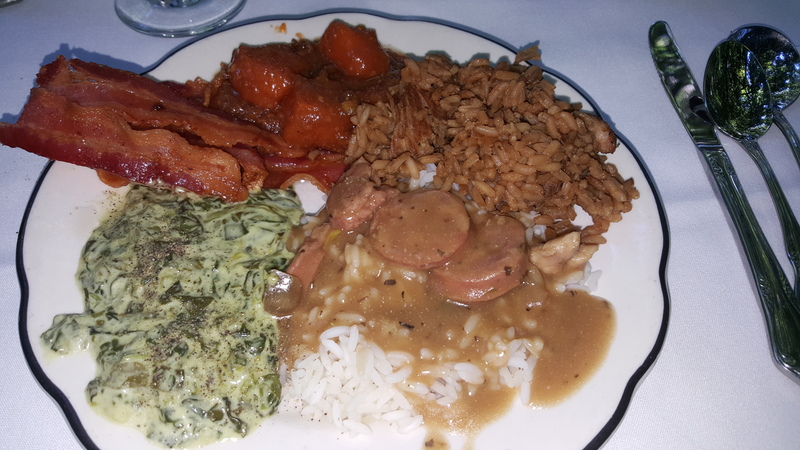 We literally ate everything on our plates – fish, creamed spinach, sliced pork loin, pasta salad, some more stuff we can’t remember – and bread pudding for dessert! 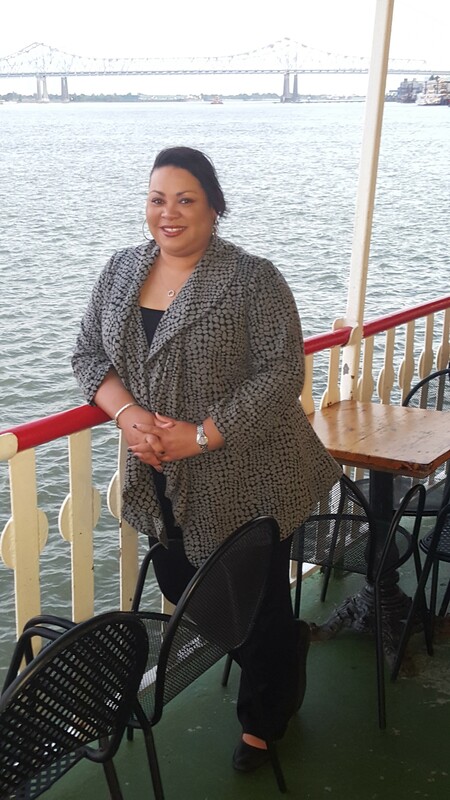 Just know this, if you go on a dinner cruise on Steamboat Natchez, come hungry because the food is delicious. Shout out to the cooks, who by the way, are award-winning we found out. We returned to the room right after the cruise that night since we knew we’d be catching our flight the next day. 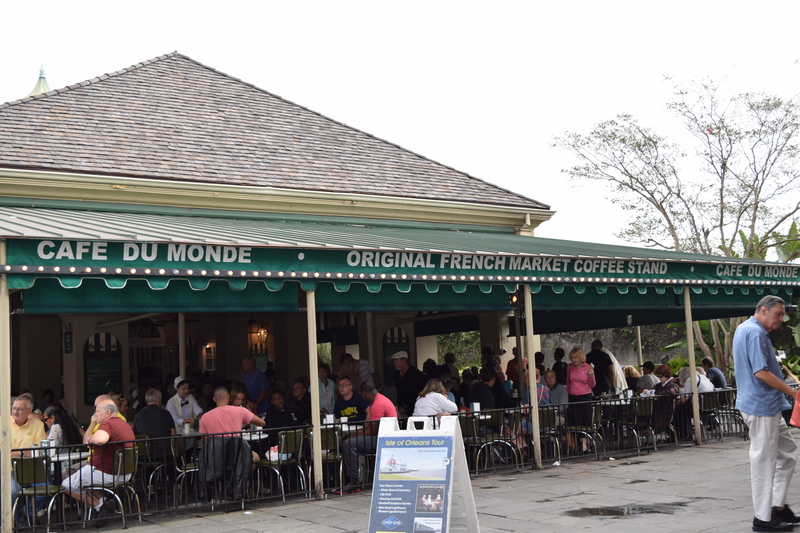 So, there are certain things you have to do when visiting New Orleans: drink, listen to live music, drink, eat really good food, drink and get beignets from Café du Monde. We couldn’t miss out on the last one. 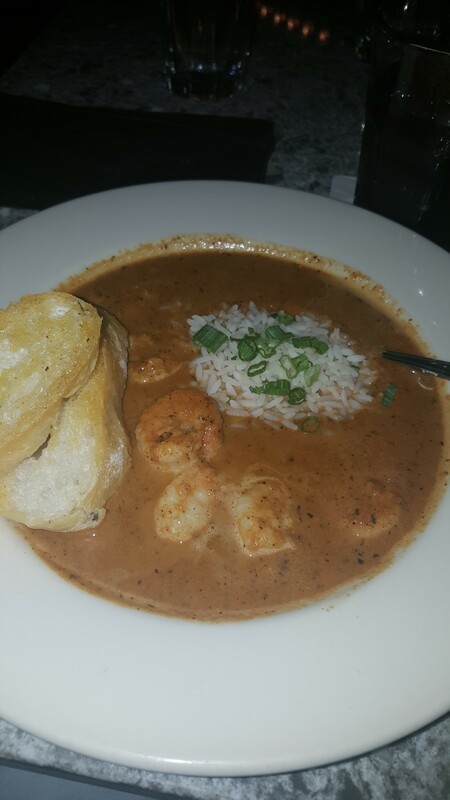 So after checking out of our hotel, we drove to the French Quarter to get our fix. 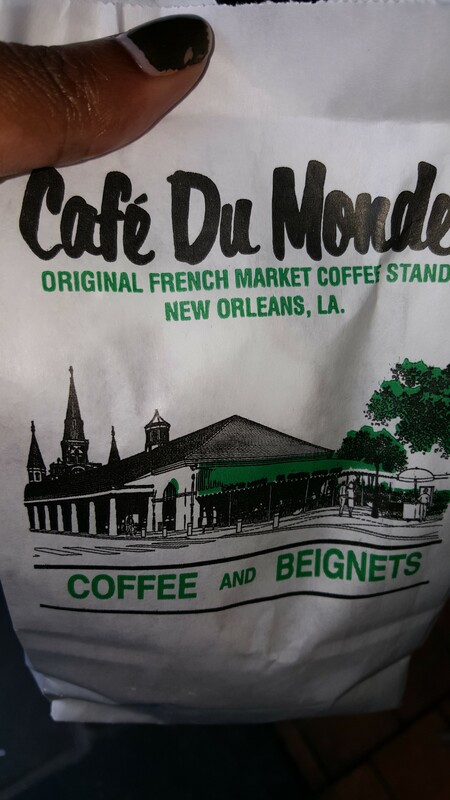 They were packed, per usual, so we opted to get our beignets to go. However, they can be a little messy eating on the go (think of your face being attacked by a bag of powdered sugar) so, if you have the time, it’s worth the wait for a table. We wanted to have one more New Orleans meal before leaving, so we decided to swing by Deanie’s Seafood. 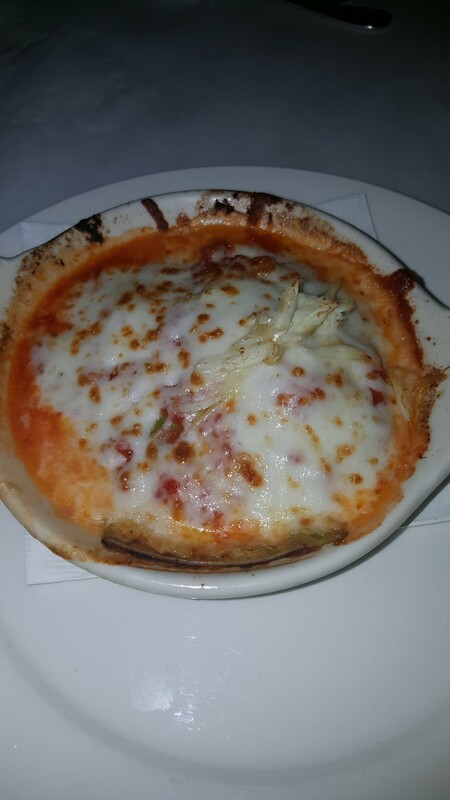 As had been customary with all of our dining experiences thus far, the food was good and service was friendly. 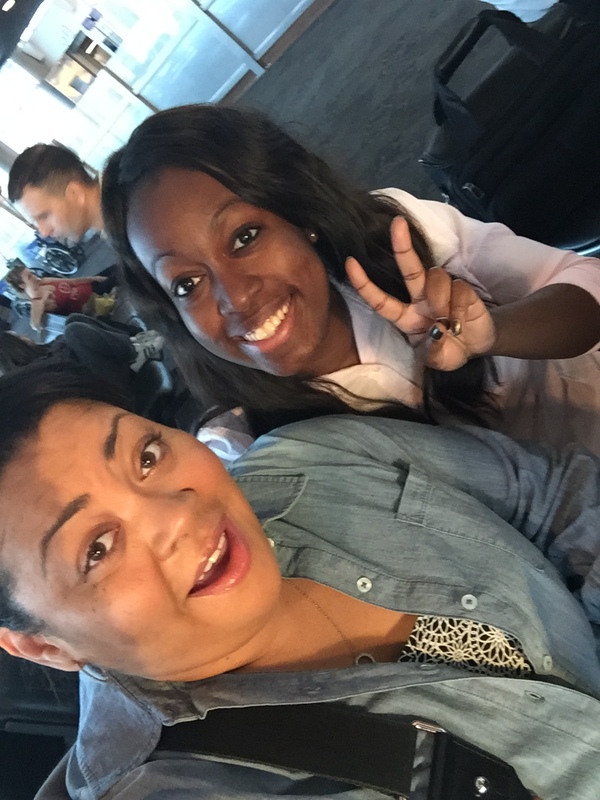 After that, we headed to the airport to catch our flight back to Houston. 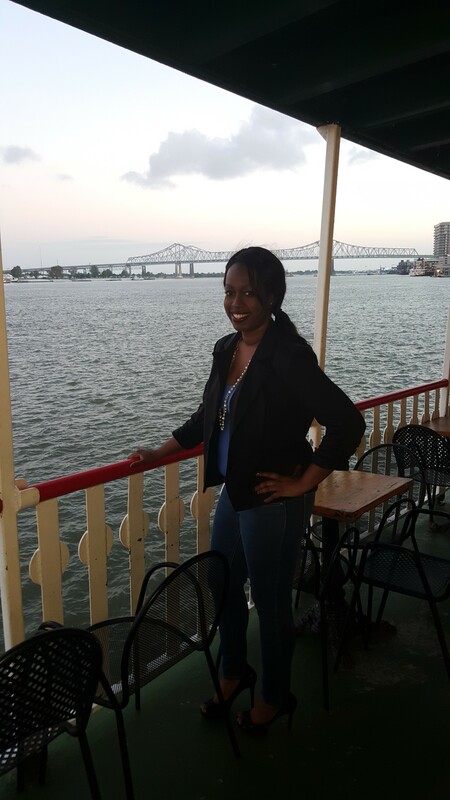 NOLA was good to us and we thoroughly enjoyed our stay. 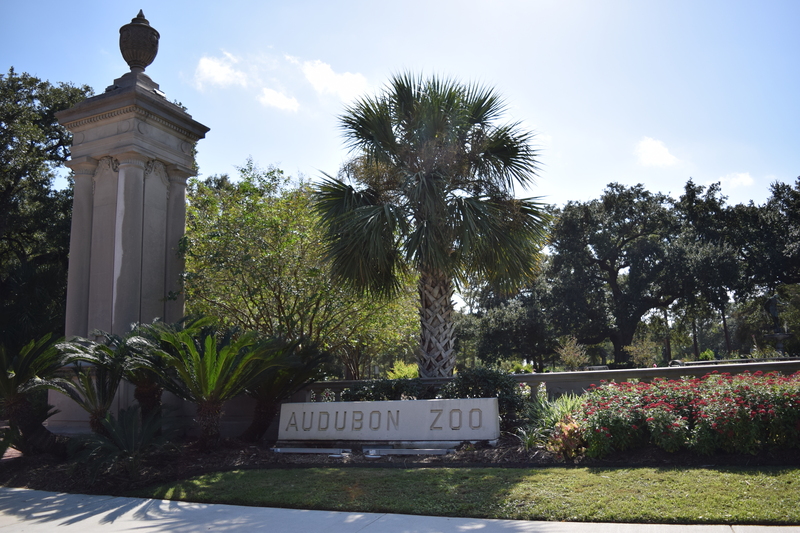 Hopefully, this post will give you some ideas or insight while planning your first or next trip to The Big Easy. Meanwhile, 2 Girls Who Travel is thinking of our next destination. Any suggestions? Leave them in the comments below.